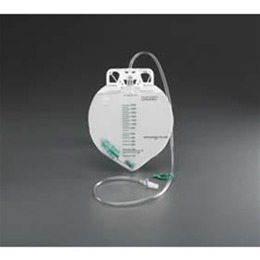 •Bacteriostatic Infection Control Urine Drain Bag with Anti-Reflux ChamberBacteriostatic collection system is impregnated with a novel antimicrobial agent to repel pathogens commonly associated with catheter associated urinary tract infections (CAUTIs). •BARD® Microbicidal Outlet Tube protects the drain bag from contamination resulting from retrograde bacterial migration . •BARD® SAFETY-FLOW™ outlet device eliminates urine splash when emptying the drain bag. 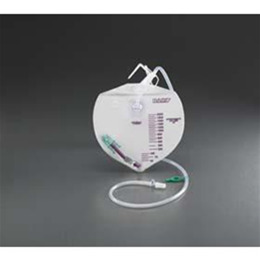 •The unique dome design of the Anti-Reflux Chamber prevents urine reflux from the urine drain bag back into the drainage tube. •BARD® Microbicidal Outlet Tube protects the drain bag from contamination resulting from retrograde bacterial migration. 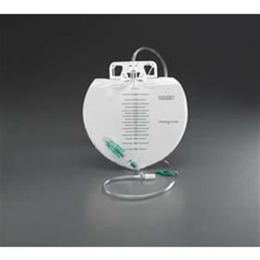 •BARD® Infection Control Urine Drain Bag with Anti-Reflux ChamberBARD® Microbicidal Outlet Tube protects the drain bag from contamination resulting from retrograde bacterial migration.